Die LIFEBOOK S Serie ist der ideale Begleiter für Vielreisende und lässt keine Wünsche offen. Das Notebook bietet die perfekte Kombination aus leichtem Gewicht, hoher Leistung und Modularität. Sie haben die Wahl zwischen zwei unterschiedlichen LIFEBOOK S Serien: einem leistungsfähigen 13.3-Zoll Notebook mit neuster AMD Turion Mobil Technologie oder einem ergonomischen 14-Zoll Notebook mit Intel Centrino Duo Mobil Technologie. 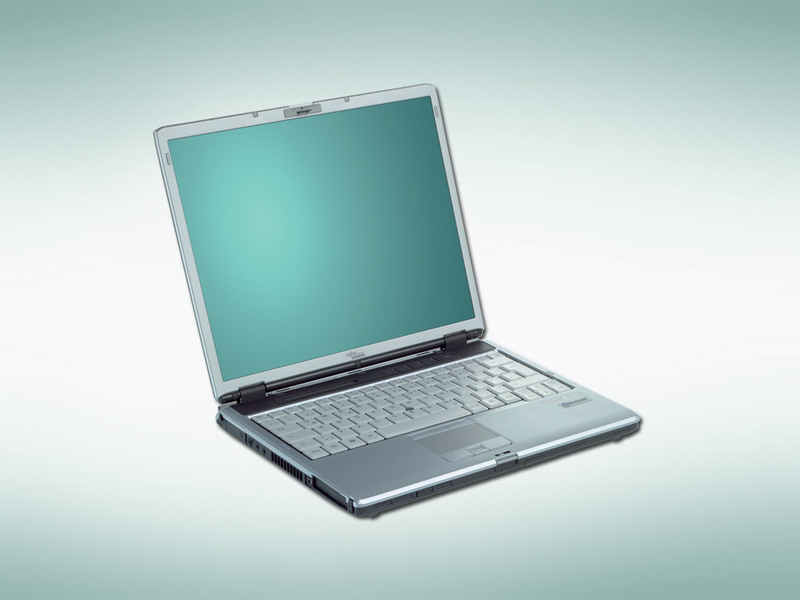 On its own, the Fujitsu LifeBook S2210 is a fine basic business laptop that gets the job done. But compared with the other 13-inchers, you’re getting less style and substance per dollar. The Fujitsu LifeBook S2210 is a decent notebook with good looks, the 13.3" screen size is really quite a sweet spot between being an ultraportable and larger 14" thin-and-light notebook. It's easy to carry around, yet not so small that the screen is tough for viewing. Speaking of viewing, the screen is absolutely fantastic. The professional styling and cool looking media buttons would suit a practical but style conscious business person. The downsides to the notebook are the middling battery life, it runs a bit warm, and the keyboard could be improved. On the whole though there's not much to complain about. The starting price of the S2210 is around $1,299 and the price as tested is $1,979. Personally I think the price is a bit high for what you get relative to other notebooks out there, but as always you can shop around to find better prices, so do your homework there. With nearly every laptop manufacturer having abandoned standard-aspect displays for the roomier widescreen format, it's a bit of a shock to see a square-shaped screen these days. And yet here comes the Fujitsu LifeBook S2210's boxy 13.3-inch display, which joins a few ThinkPads in making a final stand for this dying breed. While that's not enough to dismiss the S2210 outright, its fine array of components and features don't compensate for the short battery life. Bottom line: The Fujitsu LifeBook S2210 business ultraportable has a larger-than-average screen and a built-in optical drive. The base model is the best value. Pros: 4-pounder with a 13.3-inch screen. Optical drive is modular. Cons: Below-average processor. Middling performance. Top-tier configuration is overpriced. ATI Radeon Xpress 1150: Nachfolger der Xpress 200M integrierten Grafikkarte (shared Memory) basierend auf X300 Kern (für AMD Prozessoren). 3D Spiele sind auf diesen Vertretern nur in Ausnahmen spielbar, grundsätzlich sind die Grafiklösungen hierfür jedoch nicht geeignet. Office Programme und Internet surfen dürfte jedoch ohne Problem möglich sein. » Weitere Informationen gibt es in unserem Notebook-Grafikkartenvergleich und der Benchmarkliste. 57.25%: Eine so schlechte Bewertung ist selten. Es gibt nur wenige Notebooks, die schlechter beurteilt wurden. Auch wenn Verbalbeurteilungen in diesem Bereich meist "genügend" oder "ausreichend" lauten, so sind dies meist Euphemismen.